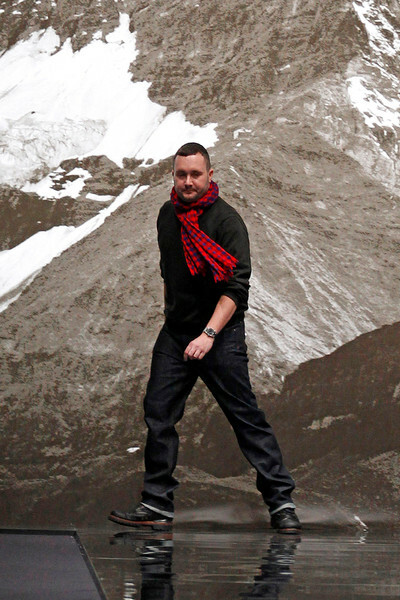 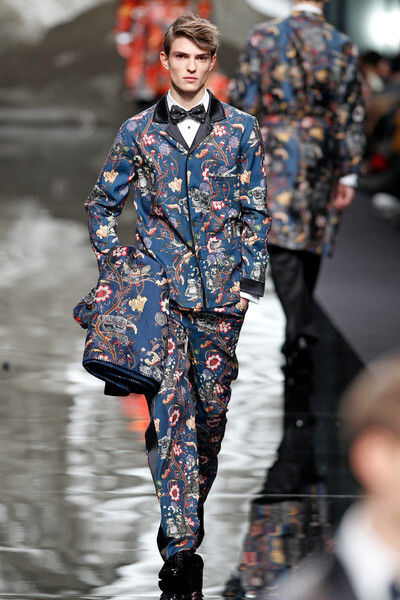 Kim Jones’ love for nature sure was visible in his latest fall/winter collection. 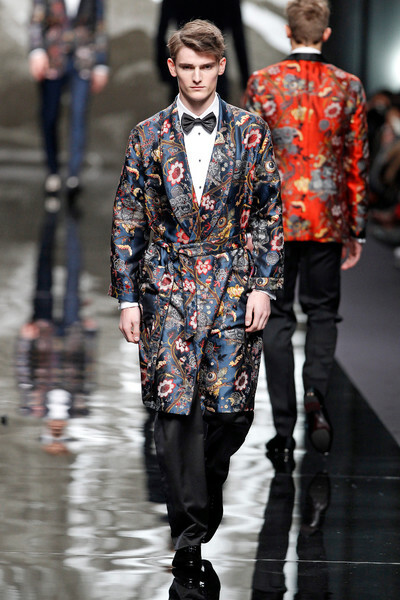 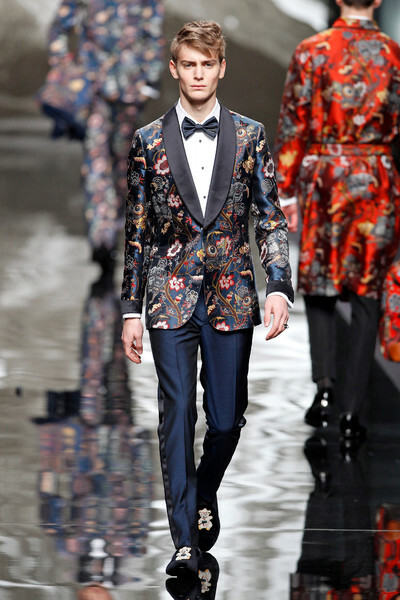 He opened the show with two light leapord printed jackets and the nature inspired creations kept on coming. 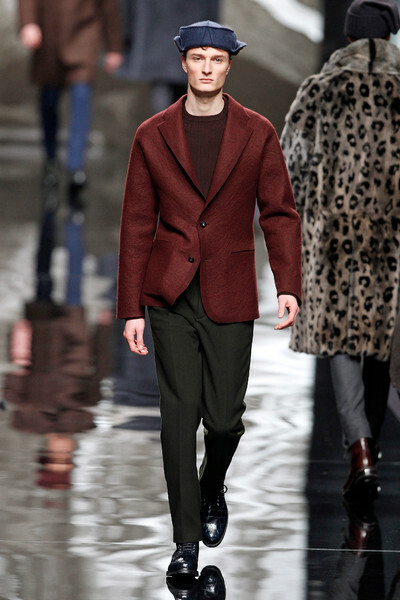 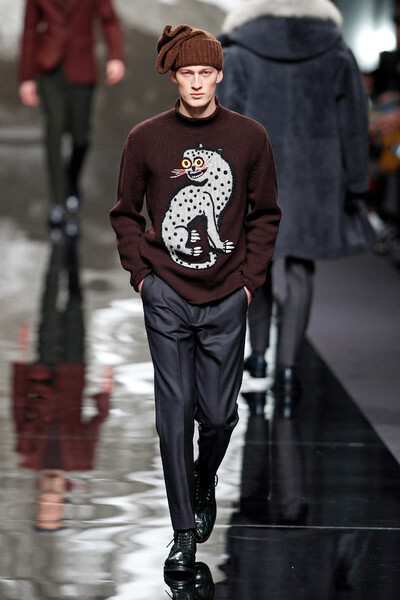 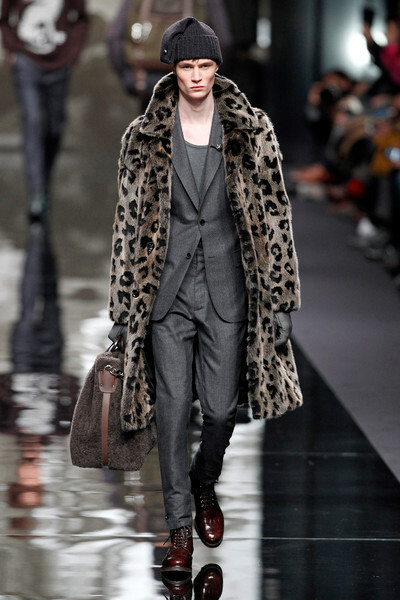 Fur XL collars were followed by fur coats as even a burgundy sweater with the image of a snow leopard (remember last season’s big printed sweater trend?) 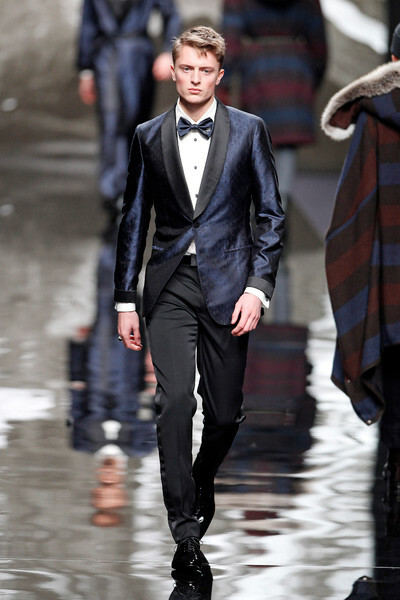 came by. 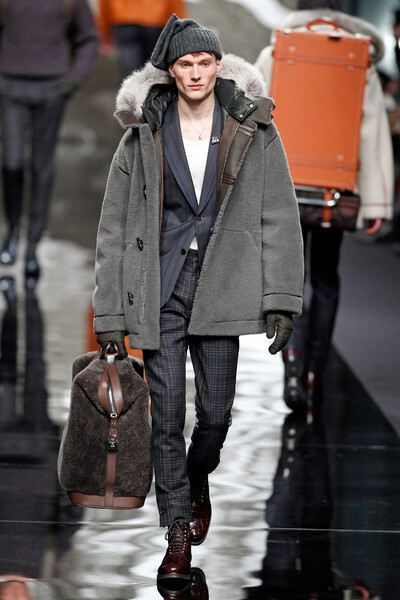 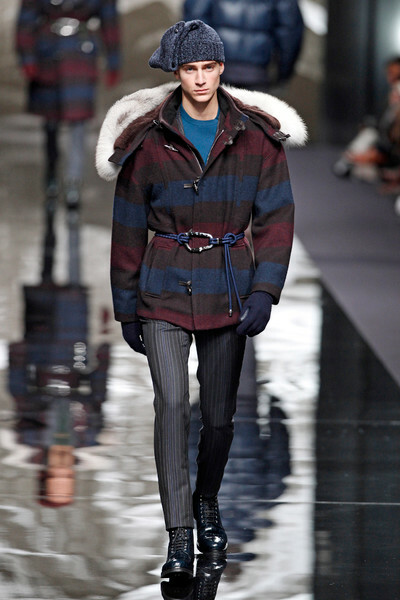 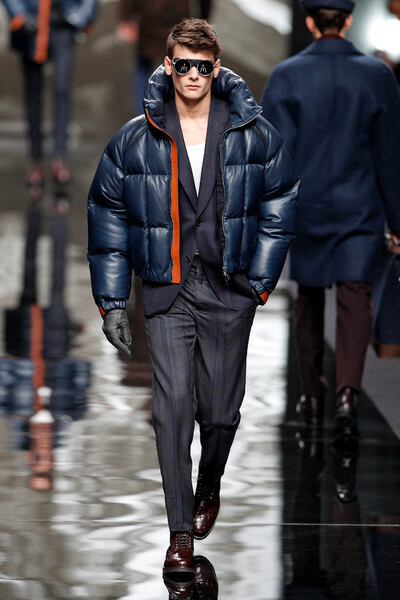 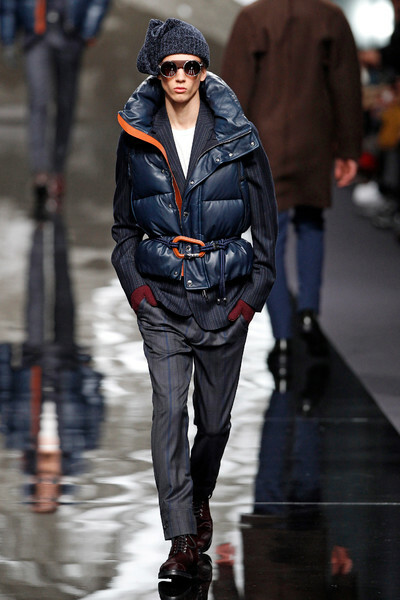 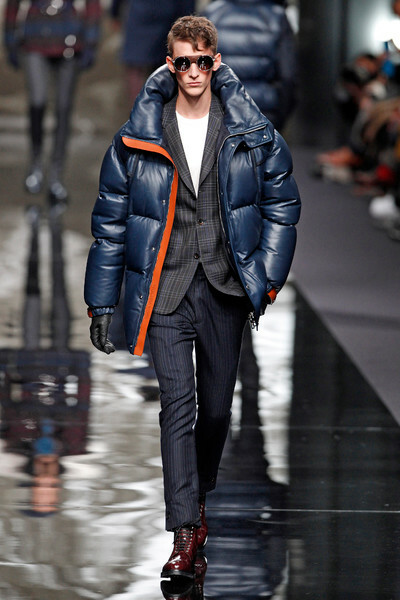 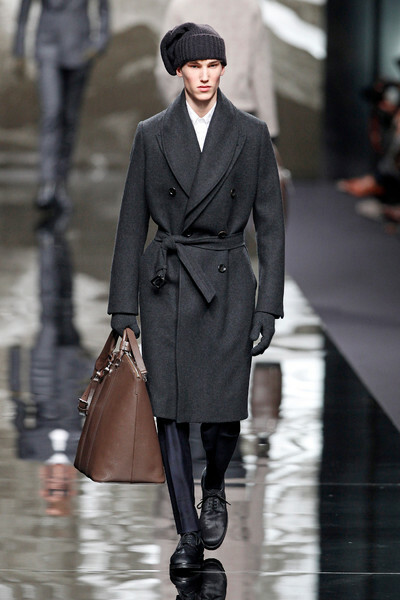 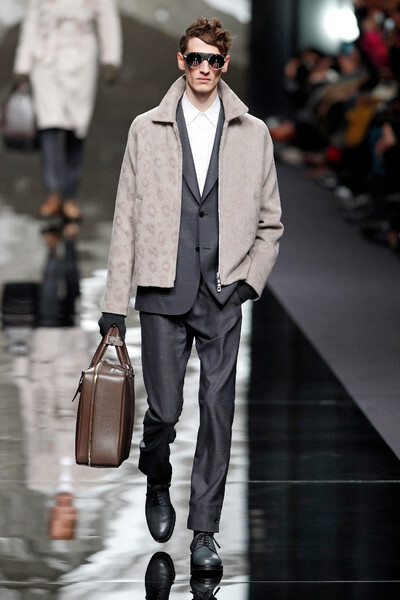 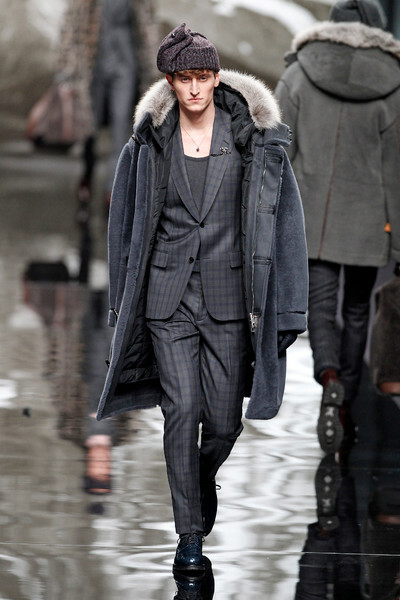 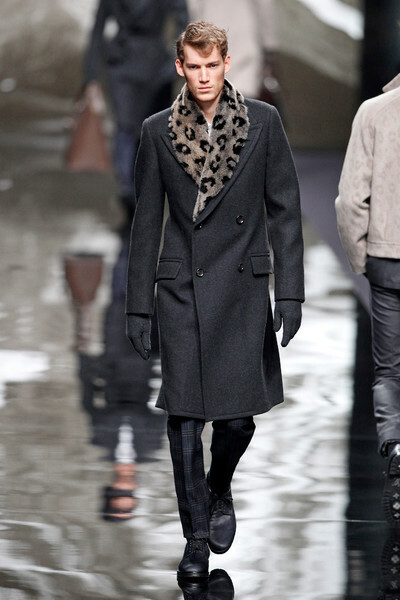 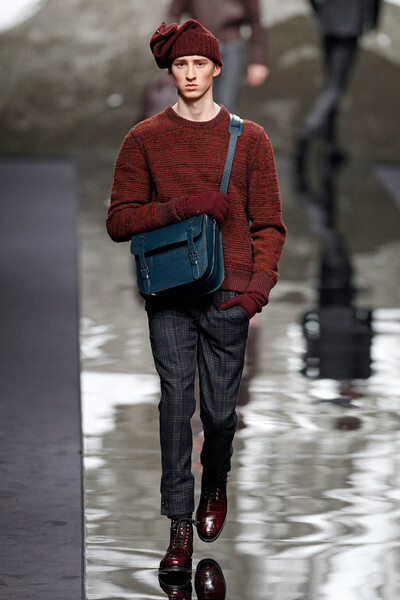 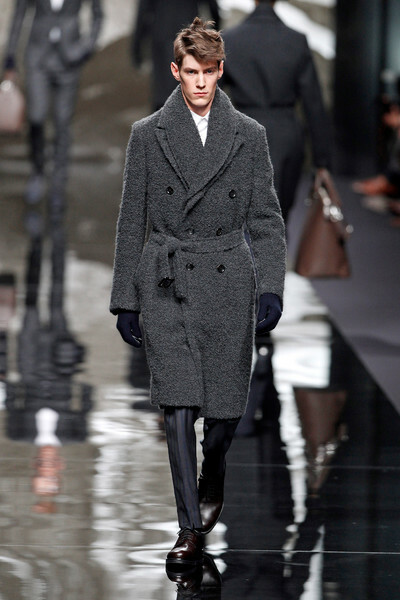 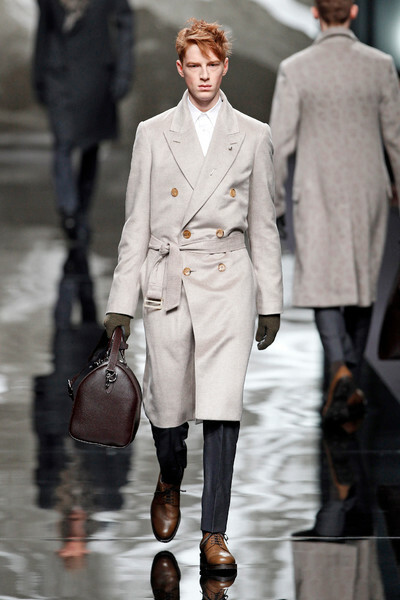 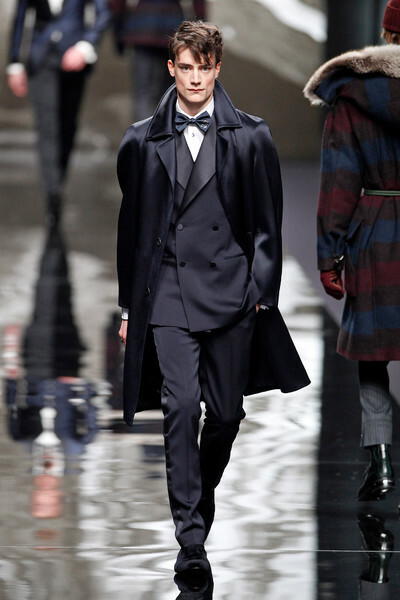 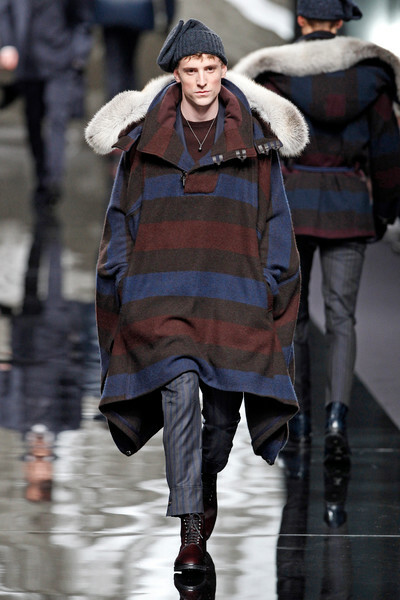 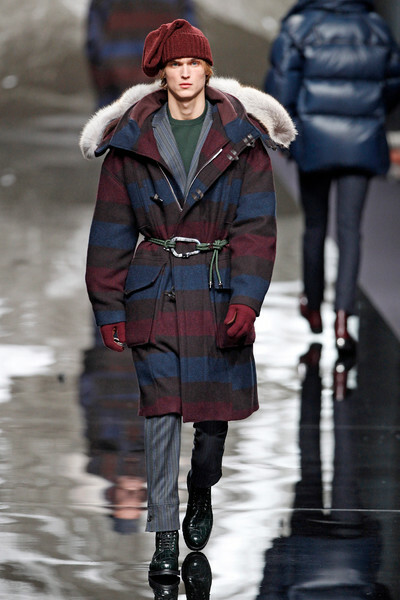 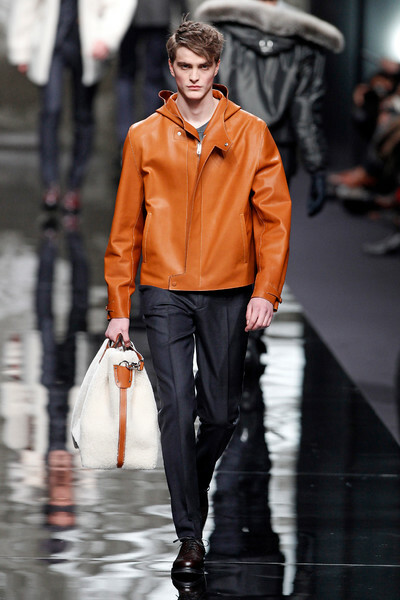 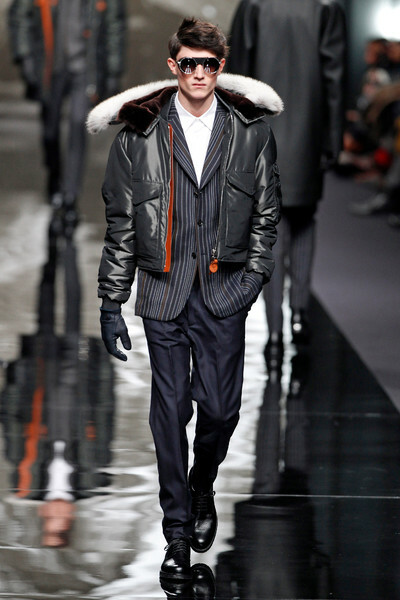 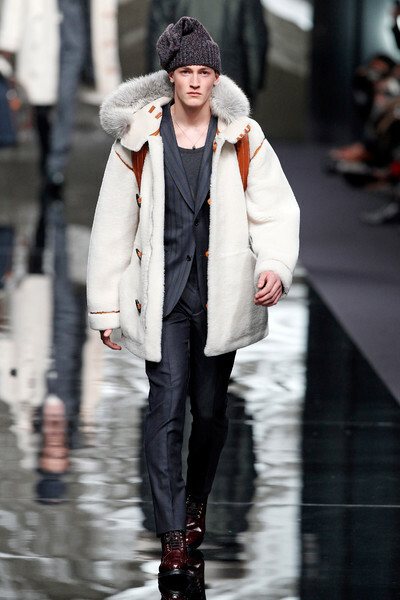 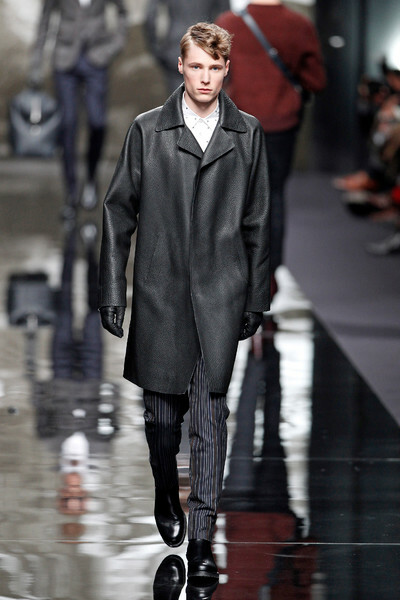 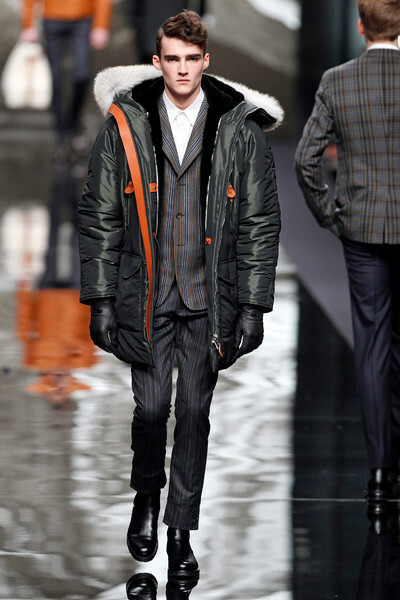 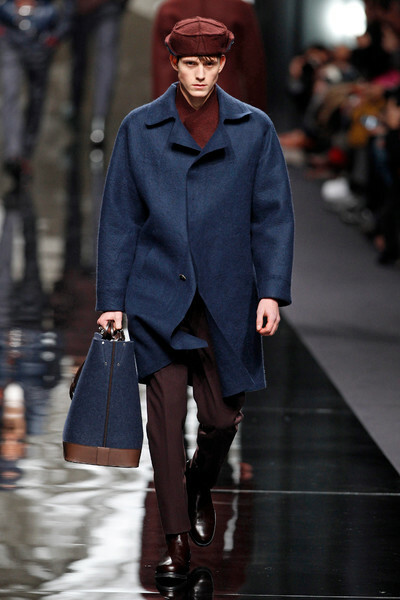 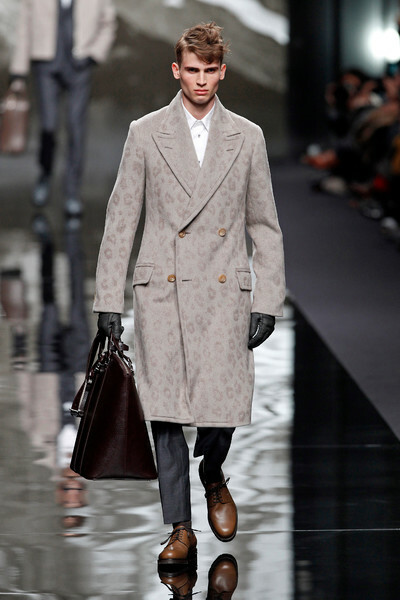 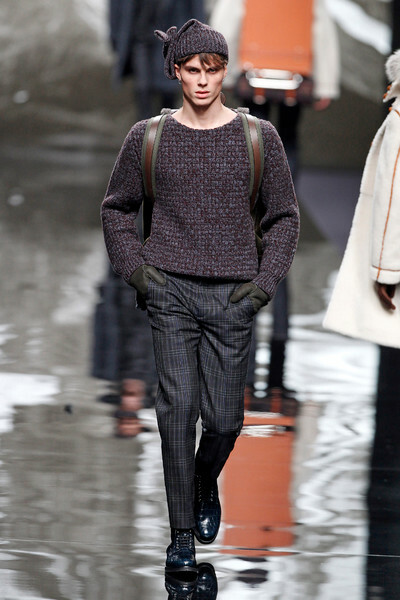 Winter coats looked super cosy, especially combined with LV’s new type of (nightcap) beanie. 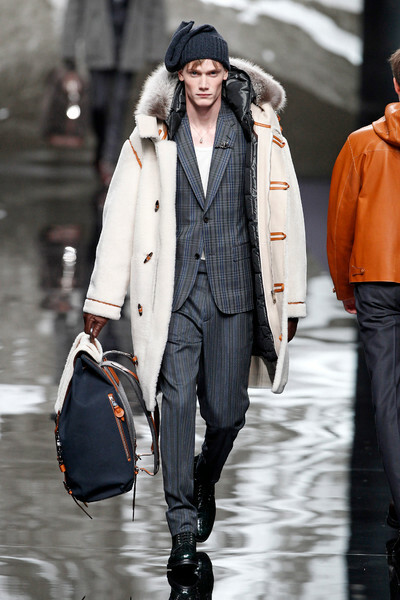 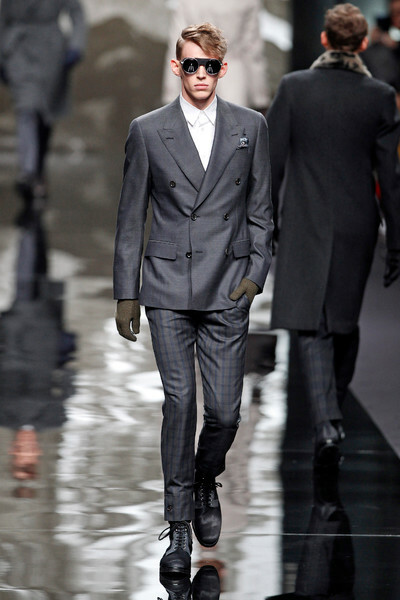 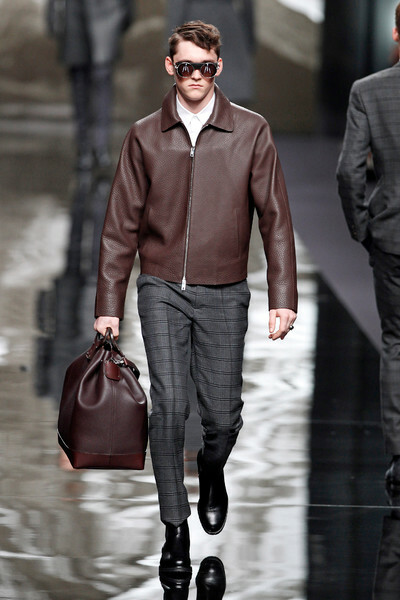 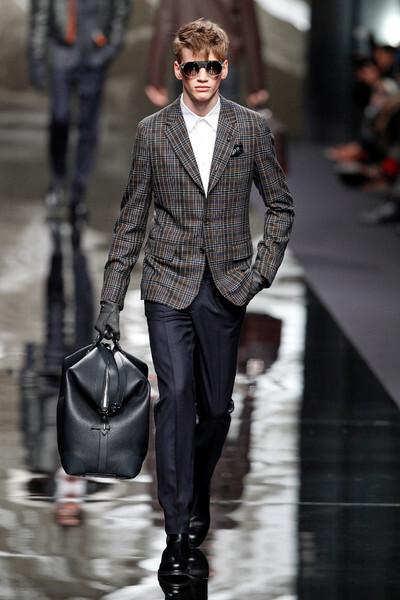 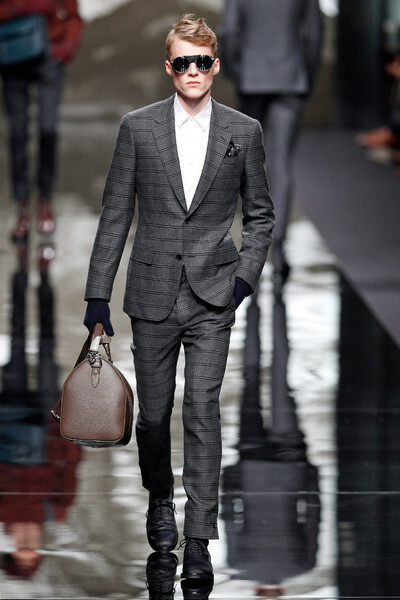 The checked suits and stripes coats already breathed luxury, but the finale possibly took the collection to a higher level. 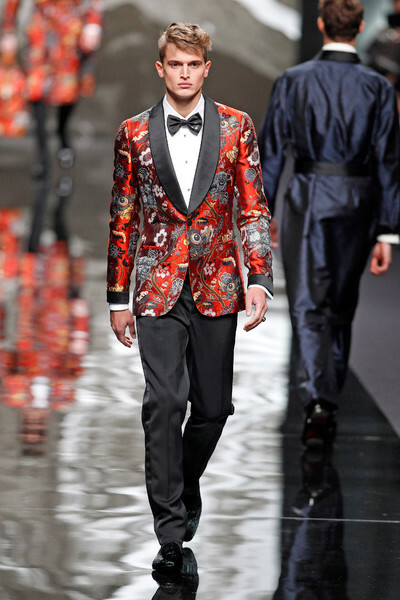 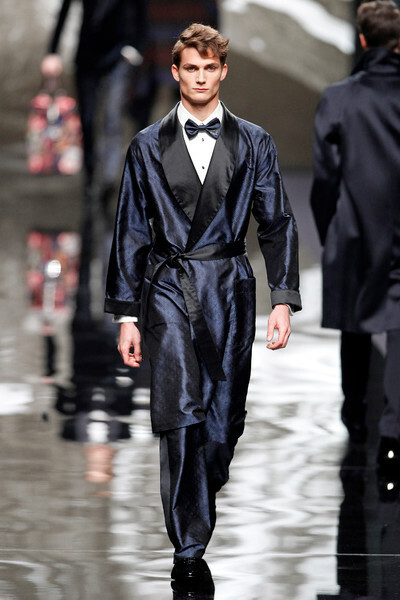 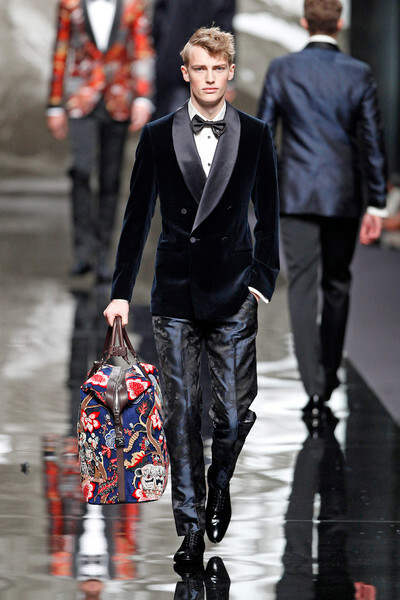 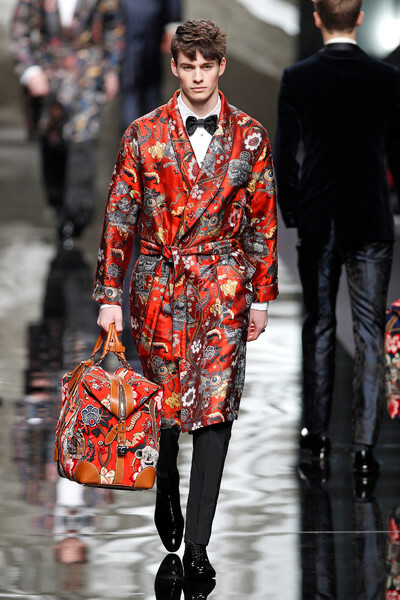 With satin, bathrobe style, printed, eastern inspired jackets for those real special occasions.